The vehicular mobility dataset is mainly based on the real data collected by the General Departmental Council of Val de Marne (94) in France. The General Departmental Council of Val de Marne is a regional agency in charge – amongst other activities – of the transportation systems. 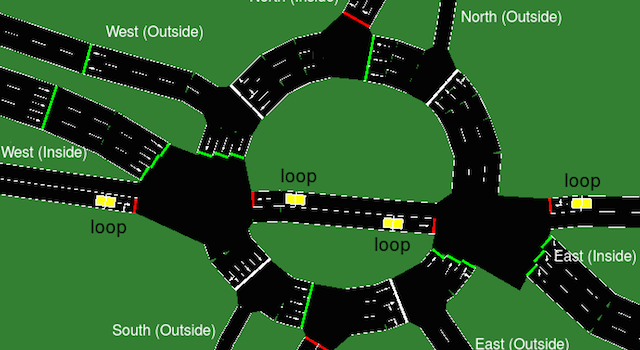 the traffic assignment of the vehicular flows is performed by Gawron’s dynamic user assignment algorithm, included in the SUMO – Simulation of Urban MObility – simulator. the traffic light mechanism is derived from sequence adaptation manually documented in the regional transportation system. 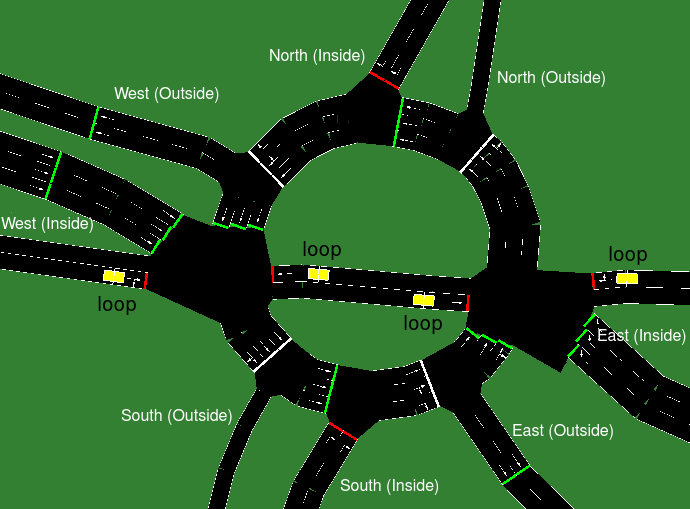 The resulting synthetic trace includes a roundabout with 6 entrances/exits, 2 or 3-lanes roads, 1 bus road, 4 changing-lane spots, 15 traffic lights. It comprises around 10000 trips, over rush hour periods of two hours in the morning (7AM-9AM) and two hours in the evening (5PM-7PM). 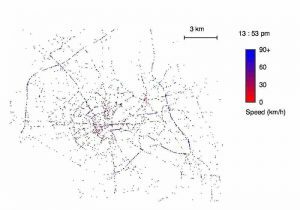 The vehicular mobility dataset is mainly based on the data made available by the TAPASCologne project. TAPASCologne is an initiative by the Institute of Transportation Systems at the German Aerospace Center (ITS-DLR), aimed at reproducing, with the highest level of realism possible, car traffic in the greater urban area of the city of Cologne, in Germany. The traffic assignment of the vehicular flows described by the TAPASCologne O/D matrix over the road topology is performed by means of Gawron’s dynamic user assignment algorithm. 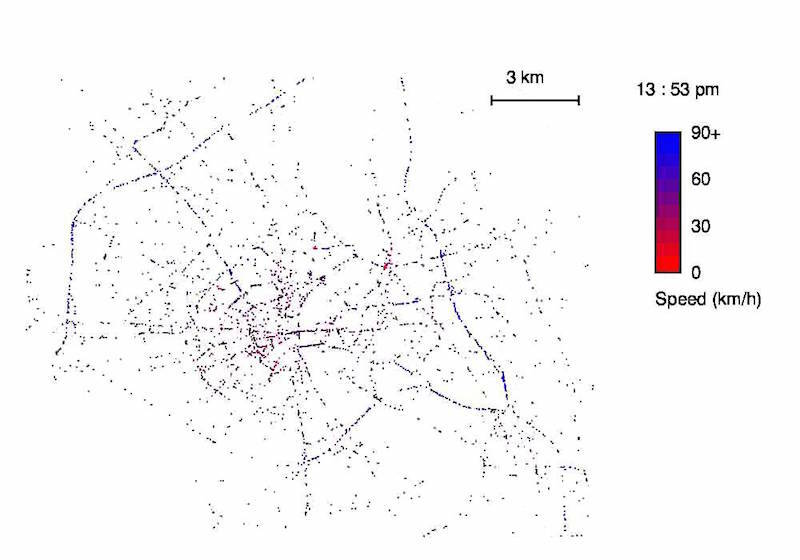 The resulting synthetic trace of the car traffic in a the city of Cologne covers a region of 400 square kilometers for a period of 24 hours, comprising more than 700.000 individual car trips.